Thanks to the athleisure trend, running shoes have become crazy stylish, which means buying new ones (a must every 6–12 months, btw) is even more fun. But just because their bright colors match perfectly with your favorite shorts doesn’t mean they’re right for your feet. So how do you know you’re wearing the wrong size? Let’s start with the obvious. If you’re experiencing any foot pain, your toes or toenails are bruised or you’re developing blisters or plantar fasciitis (heel tenderness), that’s a bad sign. 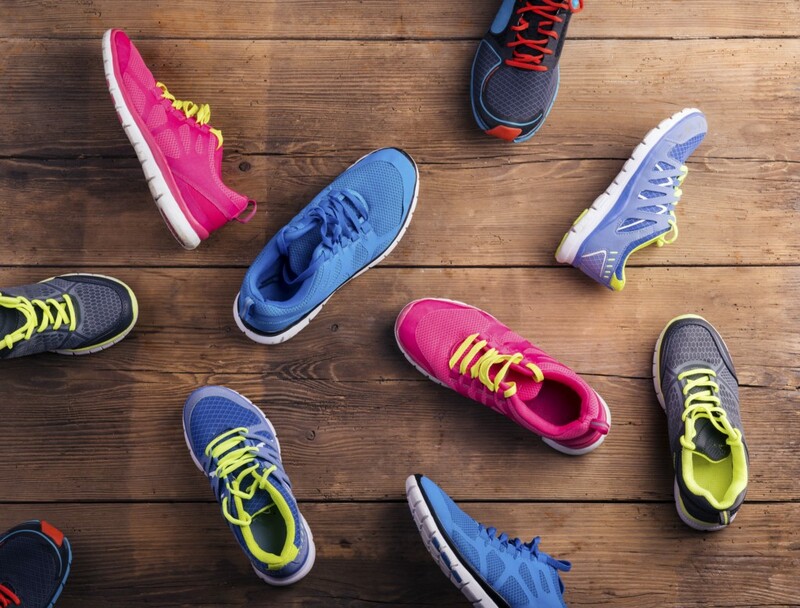 Incorrect shoe size can also play a role in ankle, knee, hip and low-back pain while running, so if stretching alone isn’t helping, it’s time to purchase a new pair of shoes. Also, if you’re wearing the same shoes to play tennis and mow the lawn, they’re most likely the wrong size. Different activities require different footwear, which is exactly why running shoes are tailored for specific needs. Okay, so how do you choose the right size? There are tons of tips out there, but the most important and overarching is: try on several pairs. Just because you’ve worn the same size since high school or you always wear a 9 in Nikes doesn’t mean that’s the right fit for you. Your feet swell and stretch throughout the day, so they’re the largest in the evening. Plan your shopping trip later in the day to make sure your shoes always fit despite a change in size. You should have space to “play the piano” with your toes. 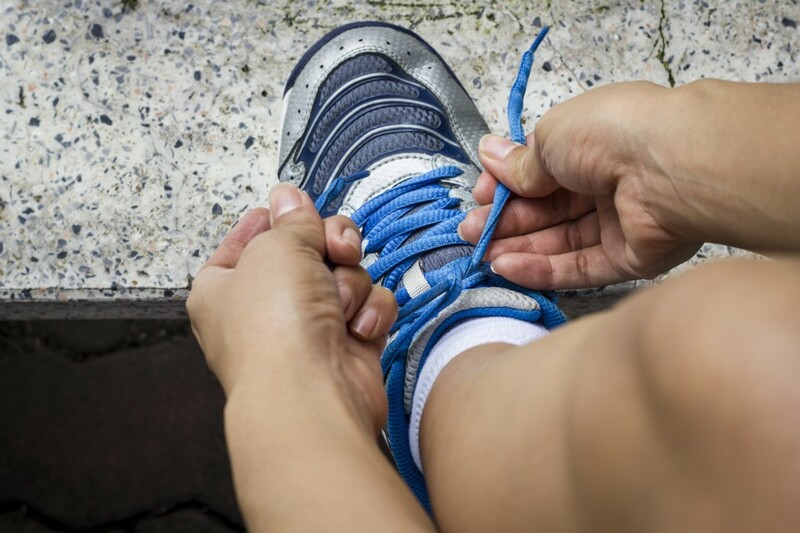 Your foot can spread ½ an inch when you step, but one shoe size is usually only a difference of ⅓ an inch, so make sure there’s at least a thumb’s width of room between your toes and the shoe. Take the insole out of the shoe and use this to measure where the ends of your toes hit and how widely they splay. If any amount is over the insole, the shoe will fit too tightly. 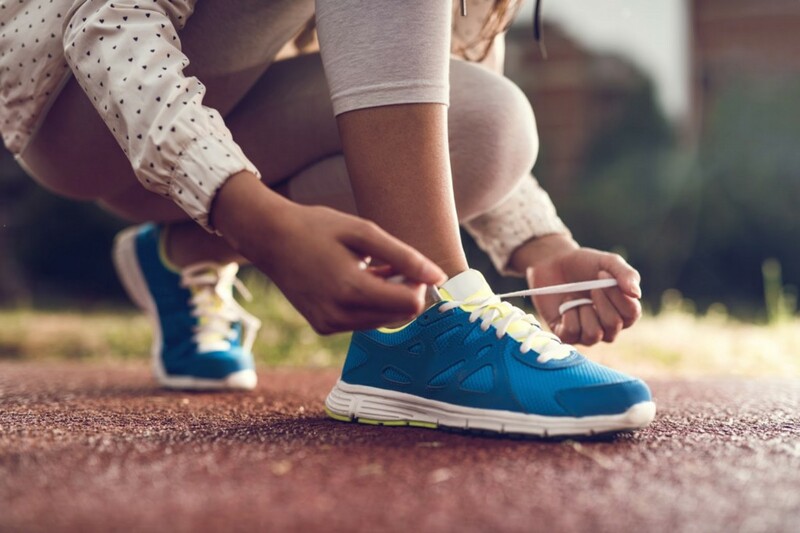 Even before you buy a pair of shoes, you should test running on a firm (non-carpeted) surface to better assess your foot’s splay and support they offer. Different brands have different fits, which changes what size you’ll need. To be safe, try on the size you think will fit, as well as a half size above and half size below just to be sure. Then, keep going up by half size until you’re sure they’re too big. Reverse the process by gradually moving a half size back down until you’re sure you have enough room for your toes (see Tip 2). Your heel and instep (top of your foot) should fit well, but not be too tight. Lace up — but don’t tie — your shoes and make sure your heel can still slide out comfortably. The instep should be secure, but not rubbing or pushing on any particular areas either. In short, if your running shoes hurt or you’ve been wearing the same pair since high school gym class, take an evening to pick out some new ones — we’d recommend this stylish and practical pair. Your feet, knees and back will thank you.